Walk into a beauty supply store and look around for a moment. Not literally, keep reading this post. Maybe just visualize instead? Here’s what you would see; walls lined with cover-up and blending formulas, brushes in every shape and size, blurring potions and eight million and one different shades of a lip lacquer that is guaranteed to make your life exponentially better. All of this will make your life better, Right? Probably, in a way, but not in the aspect that I’m hinting at today. Makeup does magical things for our self esteem and I know this. I wear it everyday. But there is another side to our faces that for a slew of us can be terrifying. And we spend so much time covering it up and trying to hide what it looks like that we often forget to nourish it and treat it well. Heck, maybe someday we can actually let someone look at it without subconsciously thinking (or saying aloud) “Ugh, I look terrible today”. The point is this; you can buy every product under the sun and fashion your face into whatever you want it to be. The struggle isn’t covering it up, but rather taking care of the skin you’re in. 1. Know Your Skin- Everyone wants to have “good skin” but what does that mean to you? Is roughness or overall dull skin your main concern? Do you have inconsistent or mild acne? Are your symptoms more severe and possibly better suited for a dermatologist? All good questions before you go out and spend your hard earned dollars on a skin care regimen. 2. 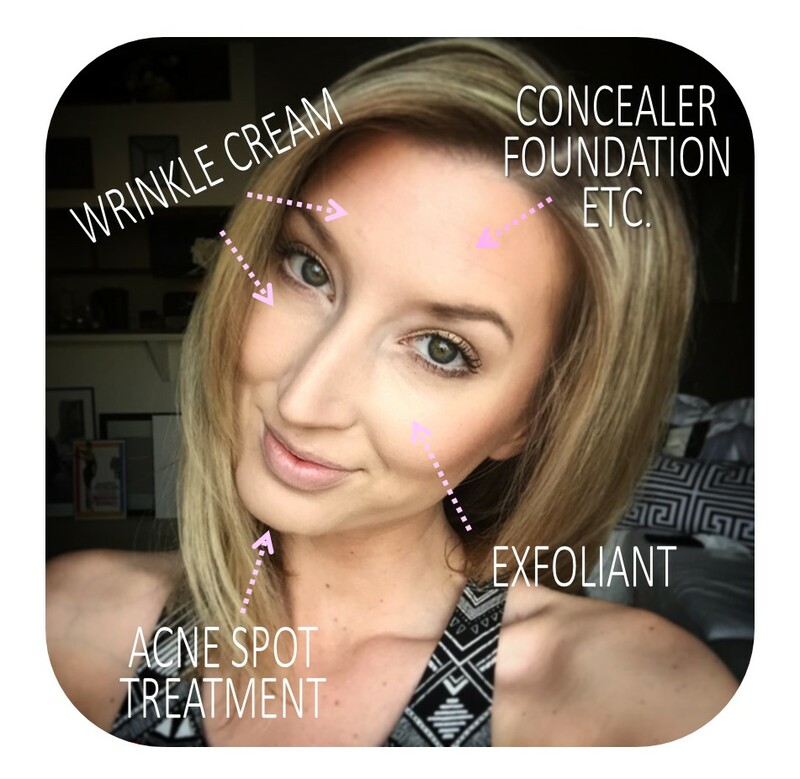 Be Basic About Cleanser- Have You been fooled by cleansers that contain anti-aging or anti-acne ingredients? Yeah, me too. Skin science has shown us that if you want those healthy skin ingredients to really do their job, you can’t rinse them off…which is what you do with your cleanser. Why waste your money on a bunch of ingredients you will be quickly rinsing down your drain? Exactly. Also, harsh cleansers can lead to inflammation. AKA redness. AKA concealer magnets. 3. Exfoliate gently– Back away from the loofah, please. Especially for those of us who have skin that seems to get flaky while staying oily. We instinctively want to scrub and scrub, but on most occasions it is does more harm than good. We want to reduce inflammation, not exacerbate it. Instead, a gentle circular motion with a washcloth is sufficient to do the trick. Also, tools such as a Clarisonic facial brush is gentle AND efficient. I ditched my apricot “sandy” scrub and bought this baby. My skin has been more supple and easier to manage ever since. 3.50 AND Use an Exfoliant– These magical products had me so confused for a while. I had a hard time distinguishing exfoliate (the act of removing a layer of skin cells) from exfoliant (compound that goes beyond the top layer of skin). Exfoliants can contain AHA or BHA compounds. AHA is better for sun damaged or dry skin, while BHA is preferred for oily or acne prone skin. You can learn more about the difference HERE. 4. Hydrate (no exceptions) Even skin that seems oily can benefit from a moisturizer. If you don’t want a heavy substance, look for a light product that has healthy “cell” ingredients that could stimulate collagen production and improve the skin barrier. 4. Use Protection– Sunblock will keep your skin from getting old prematurely, which are in my opinion, life goals. Summer, winter, spring, or fall….it doesn’t matter. The sun exists whether you are basking in it or not. You may not see the damage right away, but trust the professionals, it’s there. 5. Never Sleep in Dirty Skin- Just don’t. Ever. Quick story from my pageant days–As a contestant in a pageant you wear a fair amount of makeup. Bright lights wash you out. It is necessary. So I remember my great friend Abby giving us a tutorial on how to get your makeup stage ready and she said something that has to this day never left my brain. “This isn’t makeup you want to sleep in. Whatever you do, DO NOT sleep with your pageant makeup on.” Such great advise. Thanks, Abs. But now that I am older, I’ve realized that sleeping with your “face” on isn’t just giving you zits and quite possibly costing you *THE CROWN*. You are missing an opportunity to let your skin accept important, cell communicating ingredients. Slough off those dead cells. Regenerate and stimulate collagen production (THE FOUNDATION OF PREVENTING WRINKLES). Just do it, bottom line. Can you tell I’m in love with the CeraVe line??? What is your go-to skin routine? Are you searching for a new regimen? I love the information here! Thanks for a quick run down without making it complicated. Excellent post and great tips. Caring for our skin is so important. It doesn’t sound weird at all 🙂 But it 100% made my day ❤️ Thanks Steph! 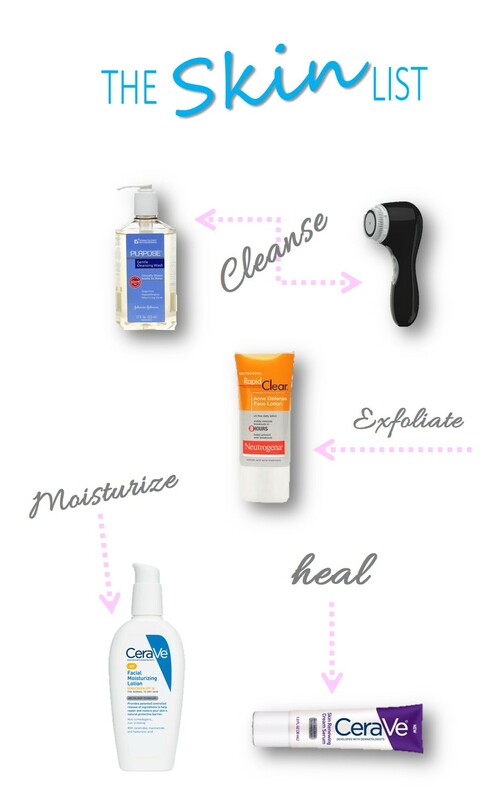 What do you think of the cerave face cleansers? I’ve been wanting to try them. Ok cool! Because I want to try something else besides my Cetaphil cleanser (which I like) it’s just fun to try something new! I agree! This is my current skin care routine, but let me tell ya, it changes by the season or if I feel like it’s just not doing the trick anymore. I love rotating products and keeping things fresh!